Please click on the link below to open Diocese Website for more information, and other links. The charity MACS (Malawi Association for Christian Support) was founded in 1993 by Bishop Donald Arden. 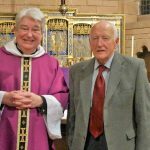 He returned to the UK 1n 1981 after many years’ service as a priest and Bishop in Africa. When in Malawi he was based at Malosa and was very much involved in the administration of St Luke’s Hospital. 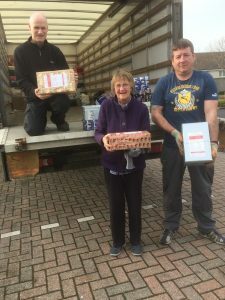 MACS responds to requests for help from schools, hospitals and churches and in the year 2017/18 a total of £172,737 was granted to 23 new projects ranging from building a house for a Medical Assistant in a Rural Health Centre to bursaries for 72 secondary school pupils and a roof for a new church building. 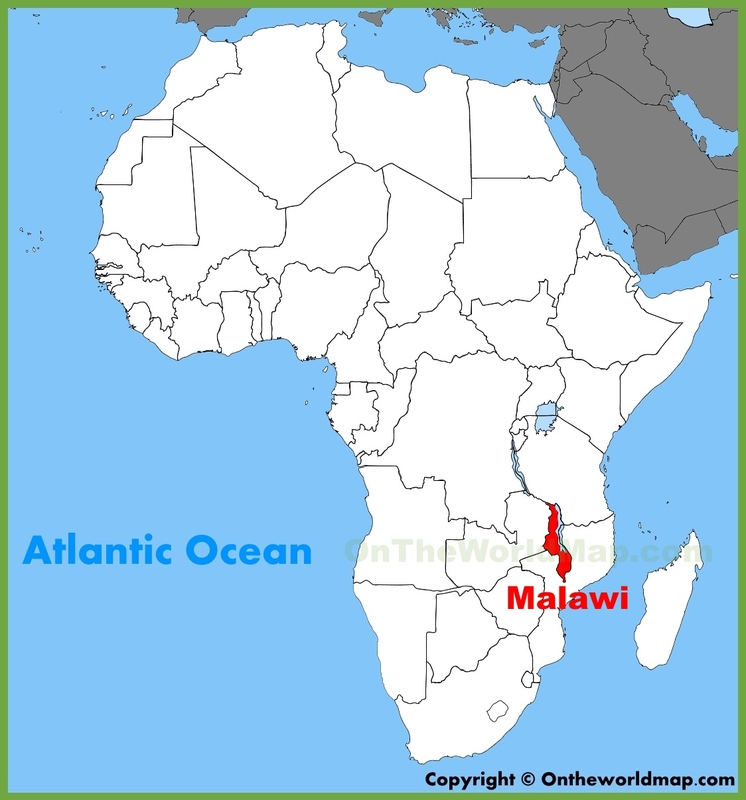 Malawi is a land locked country in Central Africa bordered by Tanzania to the north east, Mozambique to the South East and South West and Zambia to the North West. It remains one if the 10 poorest countries with few natural resources. Its exports of Tobacco, Tea and Sugar have suffered badly in the World Markets. St Luke’s Hospital is a busy mission hospital located at Malosa about 20 miles north of the old Colonial town of Zomba. It offers a full range of medical and surgical services to 140,000 people living in the vicinity of the hospital and the five health centres for which it is responsible. It has just over 140 beds and is staffed at present by two doctors from Holland supported by a team of Malawian Clinical Officers and nurses. HIV affects about 10% of the population. Travel is difficult as many can’t afford a bicycle or transport to hospital and unlike us here in Scotland with a doctor for every 357 people in Malawi they are lucky to have one for every 65,000. The new Operating Theatre Block will provide two Operating Theatres compared to the existing single theatre. This will allow Emergencies to be accommodated in the Second theatre if the first is in use and this alone can lead to the saving of a life or a surgeon having to make difficult choices. Strict Infection control will be achieved, a recovery room will allow the close monitoring of patients and post-operative problems can be quickly addressed. Why am I encouraging you to support this appeal? Apart from what I have said already and the close links Scotland has with Malawi, it has a link to Kilmarnock and to the Scottish Episcopal Church. My brother in law, Dr Colin Bullough went out to Malawi in 1967 as a Medical Missionary with USPG accompanied by his wife Mary. Colin was born here in Kilmarnock while his father Canon Joe Bullough was Rector here at Holy Trinity. 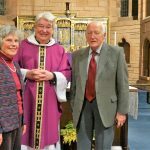 Canon Bullough was a curate at St John’s Dumfries, Rector of Holy Trinity, Motherwell and finally Rector of St Ninian’s Pollokshields and was Synod Clerk of the Diocese. Colin served in Malawi for many years and when he returned to the UK he continued to go out to Malawi with the support of the Bill Gates Foundation and Dougal Baird Institute training Traditional Birth Attendants. 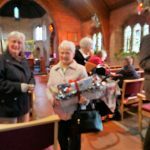 On the 20th December All Saints’ Lockerbie and St John’s Moffat came together to thank Martin for his commitment to the Annandale Group for the past 20 years. 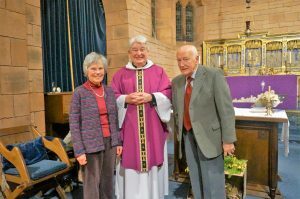 The two congregations joined together in All Saints’ Lockerbie for a special Eucharist service. A presentation was given by David Rose from Lockerbie and Wendy Harrison from Moffat, followed by light refreshments . The church is all decorated for Christmas. 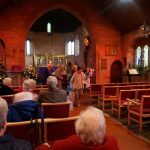 The Lessons and Carol Service was a wonderful service lead by Rev. John Stevenson. 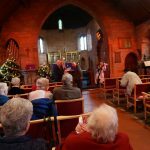 Singing carols and listening to the Christmas story read by members of the congregation, was such a great way to enter the Christmas Season reminding us all of the true meaning of Christmas. It was also a time for us to show our thanks to the people that help us in our worship throughout the year. Small gifts were presented buy David Rose. Bidding Prayer – Rev’d John Stevenson. The lessons & carols will proceed without further announcement. Carol – No 326. In the bleak mid-winter. The people that walked in darkness have seen a great light: they that dwell in the land of the shadow of death, upon them hath the light shined. For unto us a child is born, unto us a son is given: and the government shall be upon his shoulder: and his name shall be called Wonderful, Counsellor, The mighty God, The everlasting Father, The Prince of Peace. Of the increase of his government and peace there shall be no end, upon the throne of David, and upon his kingdom, to order it, and to establish it with judgment and with justice from henceforth even forever. The zeal of the LORD of hosts will perform this. Carol – No 479. O come, all ye faithful. In the sixth month the angel Gabriel was sent from God unto a city of Galilee, named Nazareth, To a virgin espoused to a man whose name was Joseph, of the house of David; and the virgin’s name was Mary. And the angel came in unto her, and said, Hail, thou that art highly favoured, the Lord is with thee: blessed art thou among women. And when she saw him, she was troubled at his saying, and cast in her mind what manner of salutation this should be. And the angel said unto her, Fear not, Mary: for thou hast found favour with God. And, behold, thou shalt conceive in thy womb, and bring forth a son, and shalt call his name JESUS. He shall be great, and shall be called the Son of the Highest: and the Lord God shall give unto him the throne of his father David: And he shall reign over the house of Jacob forever; and of his kingdom there shall be no end. Then said Mary unto the angel, How shall this be, seeing I know not a man? And the angel answered and said unto her, The Holy Ghost shall come upon thee, and the power of the Highest shall overshdow thee: therefore also that holy thing which shall be born of thee shall be called the Son of God. And Mary said, Behold the handmaid of the Lord; be it unto me according to thy word. And the angel departed from her. Carol – No 508. O Little Town of Bethlehem. It came to pass in those days, that there went out a decree from Caesar Augustus, that all the world should be taxed. And all went to be taxed, every one into his own city. And Joseph also went up from Galilee, out of the city of Nazareth, into Judaea, unto the city of David, which is called Bethlehem; (because he was of the house and lineage of David) To be taxed with Mary his espoused wife, being great with child. And so it was, that, while they were there, the days were accomplished that she should be delivered. And she brought forth her firstborn son, and wrapped him in swaddling clothes, and laid him in a manger; because there was no room for them in the inn. The choir will sing We Celebrate. There were in the same country shepherds abiding in the field, keeping watch over their flock by night. And, lo, the angel of the Lord came upon them, and the glory of the Lord shone round about them: and they were sore afraid. And the angel said unto them, Fear not: for, behold, I bring you good tidings of great joy, which shall be to all people. For unto you is born this day in the city of David a Saviour, which is Christ the Lord. And this shall be a sign unto you; Ye shall find the babe wrapped in swaddling clothes, lying in a manger. And suddenly there was with the angel a multitude of the heavenly host praising God, and saying, Glory to God in the highest, and on earth peace, good will toward men. And it came to pass, as the angels were gone away from them into heaven, the shepherds said one to another, Let us now go even unto Bethlehem, and see this thing which is come to pass, which the Lord hath made known unto us. And they came with haste, and found Mary, and Joseph, and the babe lying in a manger. Carol No 745. While shepherds watched their flocks by night. When Jesus was born in Bethlehem of Judaea in the days of Herod the king, behold, there came wise men from the east to Jerusalem, Saying, Where is he that is born King of the Jews? for we have seen his star in the east, and are come to worship him. When Herod the king had heard these things, he was troubled, and all Jerusalem with him. And when he had gathered all the chief priests and scribes of the people together, he demanded of them where Christ should be born. And they said unto him, In Bethlehem of Judaea: for thus it is written by the prophet, And thou Bethlehem, in the land of Juda, art not the least among the princes of Juda: for out of thee shall come a Governor, that shall rule my people Israel. Then Herod, when he had privily called the wise men, enquired of them diligently what time the star appeared. And he sent them to Bethlehem, and said, Go and search diligently for the young child; and when ye have found him, bring me word again, that I may come and worship him also. When they had heard the king, they departed; and, lo, the star, which they saw in the east, went before them, till it came and stood over where the young child was. When they saw the star, they rejoiced with exceeding great joy. And when they were come into the house, they saw the young child with Mary his mother, and fell down, and worshipped him: and when they had opened their treasures, they presented unto him gifts; gold, and frankincense, and myrrh. Carol No 634. The angel Gabriel from heaven came. In the beginning was the Word, and the Word was with God, and the Word was God. The same was in the beginning with God. All things were made by him; and without him was not anything made that was made. In him was life; and the life was the light of men. And the light shineth in darkness; and the darkness comprehended it not. There was a man sent from God, whose name was John. The same came for a witness, to bear witness of the Light, that all men through him might believe. He was not that Light, but was sent to bear witness of that Light. That was the true Light, which lighteth every man that cometh into the world. He was in the world, and the world was made by him, and the world knew him not. He came unto his own, and his own received him not. But as many as received him, to them gave he power to become the sons of God, even to them that believe on his name: Which were born, not of blood, nor of the will of the flesh, nor of the will of man, but of God. And the Word was made flesh, and dwelt among us, and we beheld his glory, the glory as of the only begotten of the Father, full of grace and truth. Carol No 330. It came upon the midnight clear. To thank Martin for his commitment to the Annandale Group for the past 20 years the congregations of All Saints’ Lockerbie and St John’s Moffat will join together at a special Eucharist service at All Saints’ commencing at 6.30pm on Thursday 20 December. John and Maggie will be joining us and the service will be followed by light refreshments. Monday 24 December. 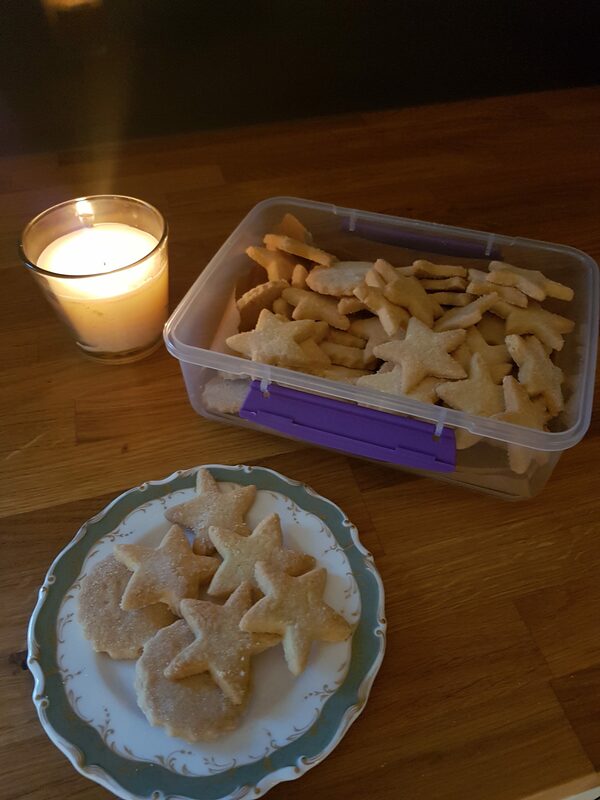 Sung Eucharist at 6.00pm followed by refreshments. Christmas Day Tuesday 25 December. 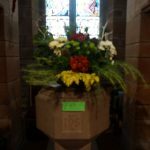 No service at All Saints’ but Rev’d John Stevenson will conduct a Eucharist at St John’s Moffat at 10am. 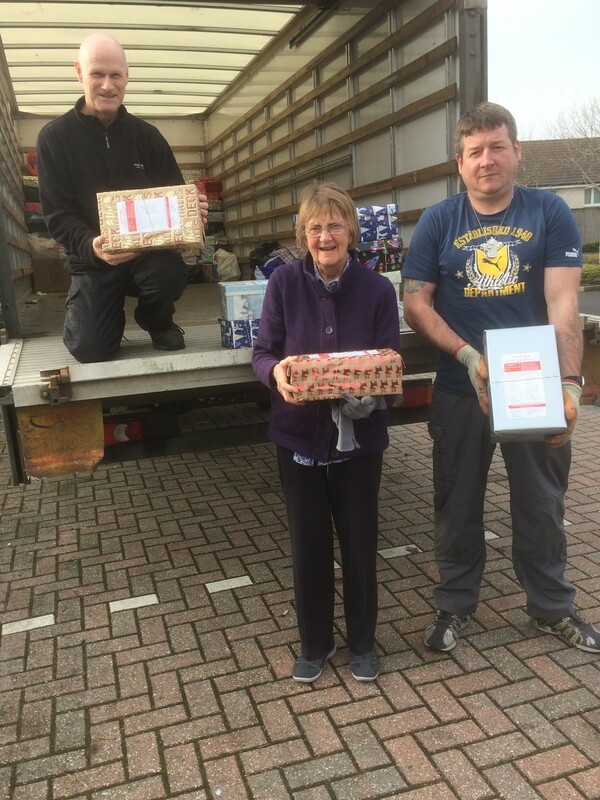 Pauline Rose taking shoe boxes to a collection point after they had been blessed in church at our Harvest Service. We are writing to update you on progress in appointing a new Rector and to keep you informed of other activities at All Saints’. 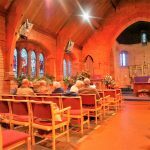 For the past 20 years we have been a member of the Annandale Group along with our sister Churches in Annan, Eastriggs, Gretna and Moffat. 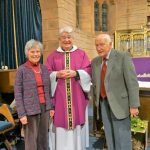 Following the retirement of Rev’d John Macleod who served us so well for more than five years, the Bishop and the Dean recommended that we should form a new linked charge along with St John’s Moffat. The remaining three Churches should continue their Linked Charge which will continue to be known as the Annandale Group. This was agreed to by all five charges and by the Rector, Rev’d Martin Callaghan. Martin ceased to be our Rector on 4 October and the linked charge of Lockerbie and Moffat is therefore vacant and we are free to proceed to appoint our own full time Rector. This post will be full time and both Vestries have agreed that they will use their reserves as necessary to help fund the appointment. 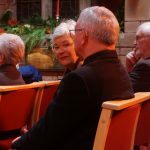 Meantime the Dean has appointed Rev’d Janice Aiton, who is Rector at St John’s Dumfries, to be our interim Priest in Charge. 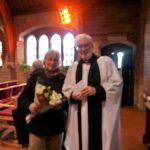 This appointment is warmly welcomed by the Vestries and Janice will be responsible for ensuring that we have adequate ministry cover for our Sunday services and will be available to any member who needs pastoral support. 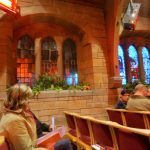 An advertisement for our new Rector has now been placed on the websites of the two charges and of the Scottish Episcopal Church and will appear in the Church Times each week for at least the next four weeks. The closing date for applications is 5 November and it is planned to hold interviews on 20 and 21 November. Please keep a successful outcome for this recruitment effort in your prayers. Increased Giving Appeal. Earlier in the summer you would receive a letter explaining the need to increase our regular income in order be able to pay our share of the new full-time post without putting too great a strain on our reserves. The Vestry are very grateful for the generous response to this appeal and wish to thank most sincerely all those who have managed to increase their giving. * Wednesday 24th October. 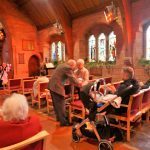 Vestry meeting at 10.00am. * Monday 5 November. Closing date for applications for post of Rector. * Tuesday 20 and Wednesday 21 November. Interviews. * Friday 7 December. Concert featuring Langholm Sings at 7.00pm at All Saints’. * Sunday 16 December. Service of Lessons & Carols. * Monday 24 December. Sung Eucharist at 6.00pm followed by refreshments.